It is just announced that The Lifespan of a Fact will hold a special benefit performance for The Actors Fund in 2019. The play is running until Sunday 13th January 2019 and the date for the special performance is set on Wednesday 2nd January 2019 at 2:00 pm. For tickets, visit actorsfund.org/LifespanOfAFact or call 212.221.7300 ext. 133. 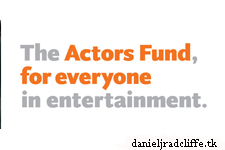 The Actors Fund is a national human services organization that fosters stability and resiliency, and provides a safety net for performing arts and entertainment professionals over their lifespan. Through offices in New York, Los Angeles, and Chicago, The Fund serves everyone in film, theater, television, music, opera, radio and dance with programs including social services and emergency financial assistance, health care and insurance counseling, housing, and secondary employment and training services. Actors Fund Special Performances are among the most thrilling theatrical experiences and the hottest tickets in town. Broadway and Off-Broadway companies generously give their time and talent to raise funds to help those in need in the creative community by adding these special shows to their already rigorous schedules, and perform for audiences full of their peers from the entertainment community.